Earn 190 points to spend on future purchases. Flyp's unique all-in-one design has no external parts or attachments like masks, tubing or filters so it is easy to use and simple to understand. 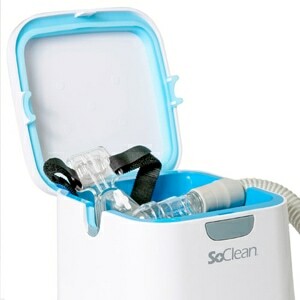 Medication is poured into an integrated reservoir on the back of the unit; aerosolized internally, and then delivered through integrated mouthpiece on the front of the unit. It really is that simple! At the heart of Flyp is a stainless-steel disk the size of a dime -- and half the thickness of a human hair -- with a mesh of one thousand microscopic holes in it. 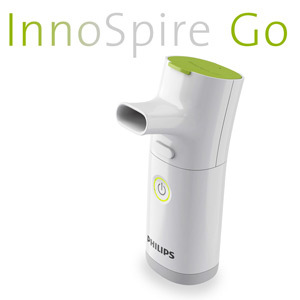 When in use the disk vibrates 110,000 times per second -- that's 2,000 times faster than a hummingbird's wings -- drawing your liquid medication through the holes and converting it into an inhalable aerosol for delivery directly to your lungs. Flyp is nimble and fast, reducing treatment time to about 7 minutes for most medications, so you can spend less time on therapy and more time on life. And despite it's small size and incredible capabilities Flyp is whisper quiet... It's so quiet that there's a handy light to let you know it's on! Designed with an active lifestyle in mind, Flyp has a built-in USB rechargeable battery that eliminates the need for wasteful disposable batteries. A single charge of Flyp's battery will last approximately 8-10 treatments and the battery recharges automatically whenever Flyp is plugged in. Just like more complex motor driven compressors, Flyp has been FDA-cleared for use with any medication intended for a general-purpose nebulizer. Flyp should not be used with hypertonic saline. Cleaning Flyp is simple. 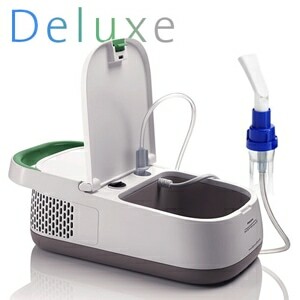 Just fill the Medication Reservoir with distilled water, turn the unit on for one minute, then empty. After cleaning the reservoir, gently remove Flyp's Mouthpiece, rinse it under running water, and lay it to dry on a clean towel. Just be sure to never rinse the Main Unit. Disinfecting Flyp is optional, but it's simple too with a soaking solution of 70% ethyl alcohol and a water rinse. For complete instructions review the documentation that came with your equipment. How Does Flyp Compare with Metered Dose Inhalers? With metered-dose inhalers, only 10% of your medication may reach your bronchioles -- even under medical supervision. That's because you're asked to depress the unit's cartridge, then inhale at precisely the right time. Which, needless to say, can be very tricky. But with Flyp, 800-90% reaches your lungs' bronchioles. Without any complex maneuvers. Can I Carry Flyp Filled with Medication? Sure, you can carry Flyp with medication in the reservoir. You will, though, need to check the usage instructions for your medication to see if there's any reason it should be kept in its ampule until you're ready to use it. There may be factors that preclude preloading, such as the temperature stability of your medication. Flyp is protected against vertically dripping water; it has a water ingress protection rating of 2. However, submerging Flyp in water can be hazardous for its lithium-ion battery. In the Package Flyp Handset, Flyp Mouthpiece, USB Wall Charger, Drawstring Travel Bag, Printed User Manual & Manufacturer's Warranty. 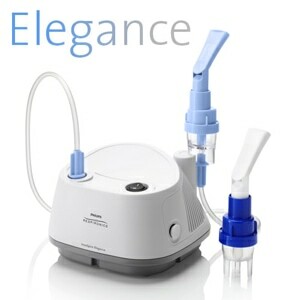 Intended Use The FLYP nebulizer, for use by adolescent and adult patients, is intended to aerosolize healthcare provider-prescribed solutions for inhalation that are approved for use with a general-purpose nebulizer. FLYP is intended for use at home or a medical facility, such as a hospital or doctor's office.